A top doctor is urging the Government to support GPs as they struggle with time and resources to tackle "chronic" loneliness in older people. Speaking at the Royal College's annual conference in Liverpool, Professor Helen Stokes-Lampard, chairwoman of the Royal College of GPs warns that doctors are burning out as they try and help elderly patients whose problems don't stop at physical health conditions. She said: "GPs see patients, many of whom are widowed, who have multiple health problems like diabetes, hypertension and depression, but often their main problem isn't medical - they're lonely." Life changes such as new careers and relationships can take family members to different countries. However, tailored travel insurance over 65 policies provide peace of mind for those precious overseas visits. Professor Stokes-Lampard says the Government needs to provide extra resources that will give GPs "the time to care", rather than "ticking boxes" and "preparing for inspections". She said: "I call right here, right now on the four governments of the UK for the time, the resources and the freedom that we need to do what is right for our patients." 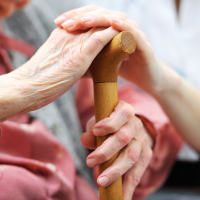 Responding to the professor's call for action, a Department of Health spokeswoman says it is working with health services to increase support offered to older people. She said: "NHS England is leading work to enable GPs to signpost people to carer respite, befriending and leisure activities which will help address loneliness, and we have supported organisations including the Campaign to End Loneliness and Silver Line to raise awareness of social isolation and help lonely people get support in their communities." Around one million people in the UK are chronically lonely, according to the Campaign to End Loneliness. Professor Stokes-Lampard says many of the older patients who go in to see GPs do so to have somebody to talk to. "Guidelines say we should be talking to them about their weight, exercise and prescribing more medication - but really what these patients need is someone to listen to them and to find purpose in life," she continued. A report by the Alzheimer's Society finds the consequences of loneliness can often manifest in physical and psychological conditions. The charity's research suggests people who are lonely are more susceptible to medical problems such as heart disease, dementia and depression.